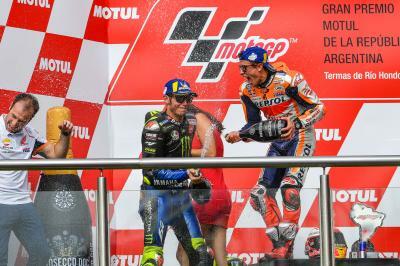 Andrea Dovizioso (Mission Winnow Ducati) takes a third place finish away from the Gran Premio Motul de la República Argentina after a race-long battle with Valentino Rossi (Monster Energy Yamaha MotoGP), but the Qatar GP race winner isn’t 100% happy despite the podium being his goal ahead of the weekend’s action. 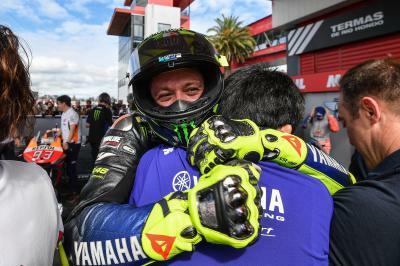 Dovizioso ran a soft rear Michelin tyre compound for the race, but it didn’t work how he expected it to as he couldn’t gap Rossi throughout the Grand Prix, with the latter getting the better of him on the final lap. 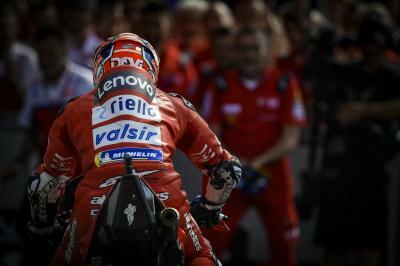 “I’m not so happy with how my tyre worked during the race because my speed wasn’t good enough,” began Dovizioso. 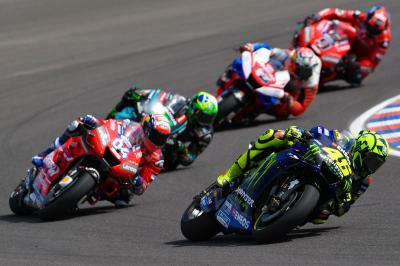 “I couldn’t make a gap to Valentino and that is the bad thing. Yes, he has a different tyre but I don’t know if the medium can be better. 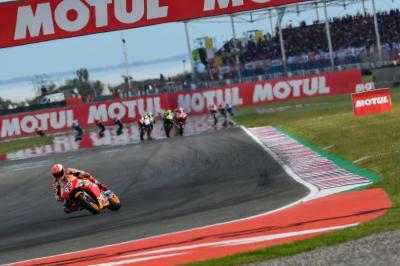 Dovizioso was at the forefront of a fierce battle for second position and as the Italian explains, fighting and overtaking with a lot of riders around Termas de Rio Hondo is tricky: “Especially in Argentina it’s better to not fight with a lot of riders because the battle is not easy because the grip is very low. Every time you overtake a rider it’s easy to make a mistake and it’s easy to lose some time. 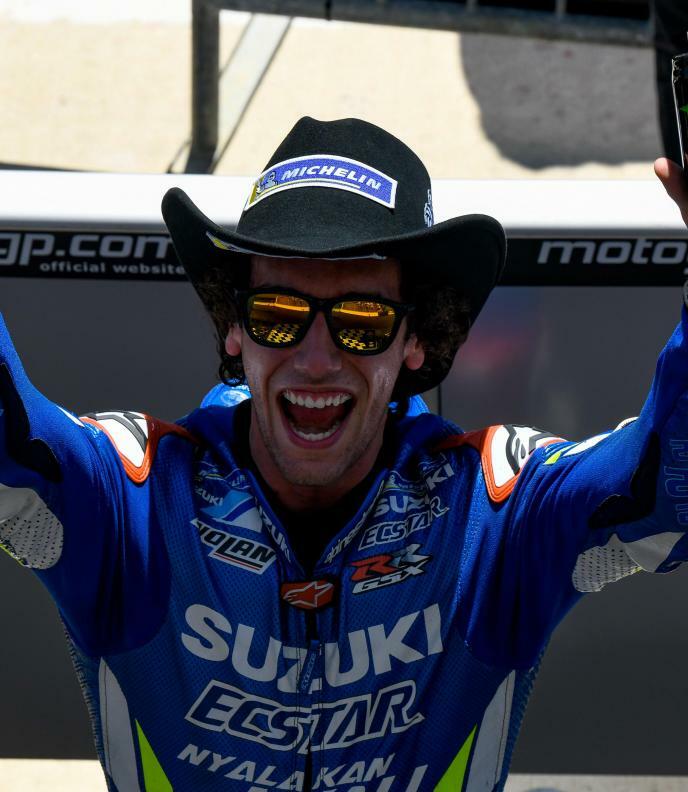 The Circuit of the Americas now awaits Dovizioso as he heads to a Marc Marquez (Repsol Honda Team) hunting ground four points off the Honda man in the Championship. 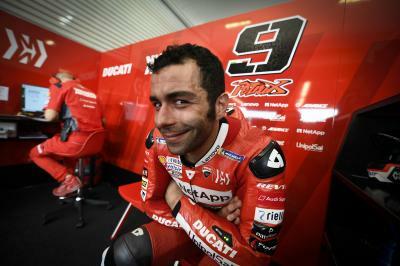 But what is the target on a track that, like Termas, hasn’t suited the Ducati in the past?